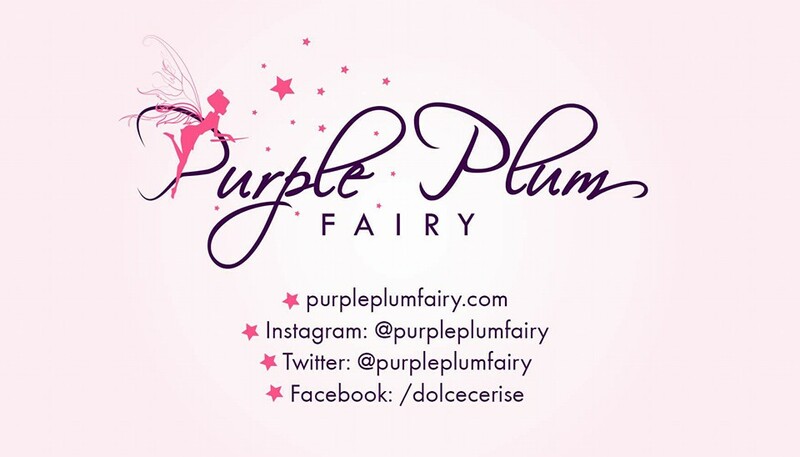 Purple Plum Fairy: Dairy Queen's Cheesecake Blizzards are Back! Dairy Queen's Cheesecake Blizzards are Back! 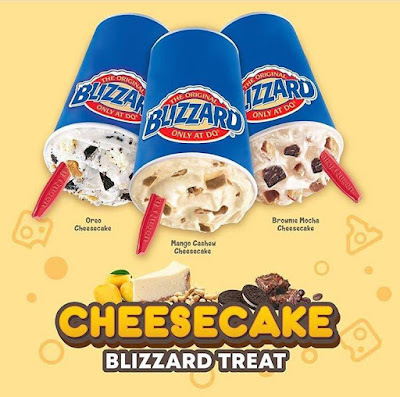 Cheesecake and Dairy Queen blizzard lovers had all the reasons in the world to rejoice as Dairy Queen brings back Cheesecake Blizzard Treat in three variants: Oreo Cheesecake, Mango Cashew Cheesecake and Brownie Mocha Cheesecake. 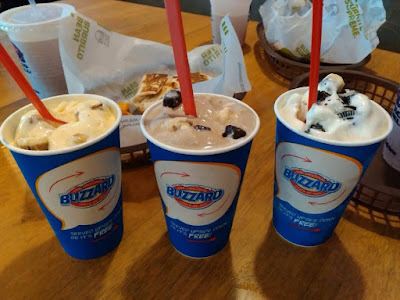 Probably three of the best frozen treats one could ever find, Dairy Queen Cheesecake Blizzard variants are sweets giving you a piece of what heaven is like. would find this addicting. But for us, it's just the start of Dairy Queen Blizzard's dominance. The mix-in is what truly defines a Blizzard, and each candy option has its loyalists. That being said, Oreos are a staple of ice cream shop menus for their sheer versatility. They can be crunched up as a topping or swirled inside and work well in both presentations. You want our honest opinion? You can’t go wrong with Oreo + add the distinct cheesecake flavor to it. It might not be the flashiest item on the menu, but it doesn’t need to be. It’s damn good just the way it is. The mango cheesecake blizzard with cashew add on is another favorite. 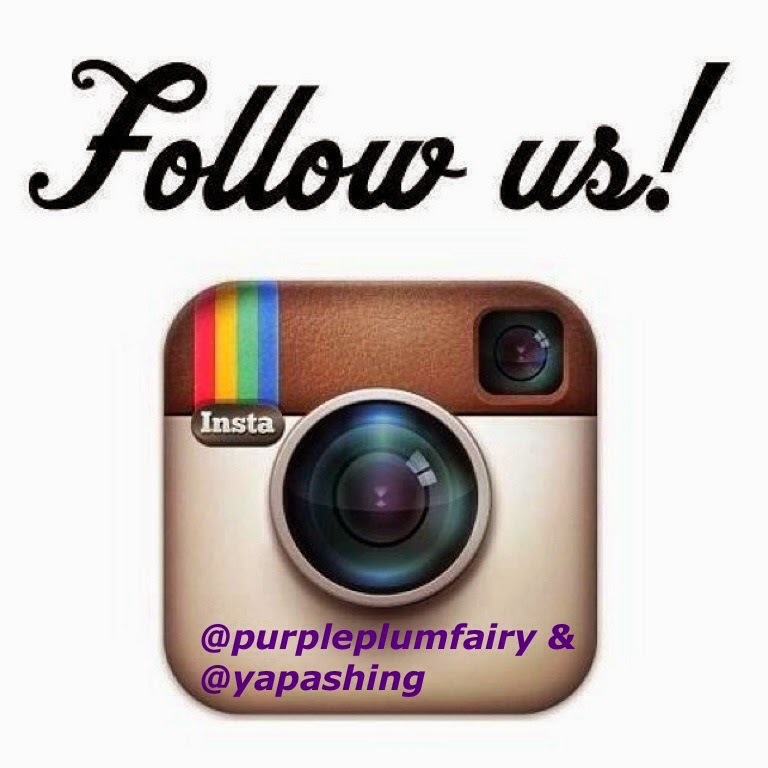 Try some and you will keep coming back for more. Price wise it is very affordable considering that this variant is just sooo good. I dug my spoon around to get a lay of land, hopeful to unearth a treasure of thick and rich soft served creamy blizzard, such a real winner indeed. If you ask me, cheesecake as its best when it just slowly melts in your mouth, more or less dissolving. That's how Blizzard is: the cheesecake pieces have that buttery-like quality, a spun up through Dairy Queen's machines, the rich and slightly tangy pieces provide a memorable flavor and evolving texture contrast. Meanwhile, the cashew pieces give the Blizzard tiny spots of crunch and flavor, working in perfect unison with the cheesecake pieces. Beauty Queens love having Dairy Queen's Blizzard too. Another mouthwatering dessert you guys shouldn't miss would definitely have to be Dairy Queen's Brownie Mocha Cheesecake blizzard. I can't help but remember one of my ex-fling who loved DQ's brownie mocha so much--he would usually ask for an extra serving of those mini blocks of brownie fudge on his Blizzard. Imagine delightful chocolate toppings, drizzled with coffee concentrate and topped with chewy baked brownie mixed with DQ's vanilla soft serve. That's exactly what Brownie Mocha Cheesecake tastes like. 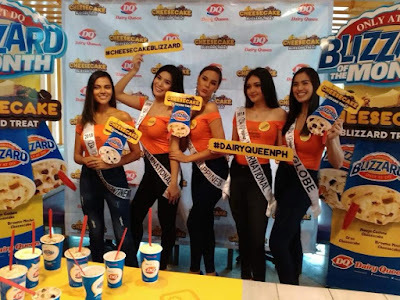 Dairy Queen recently held a blogger event at the Taco Bell Cyberpark Tower branch in Araneta Center to celebrate the return of the all-time favorite Cheesecake Blizzard. 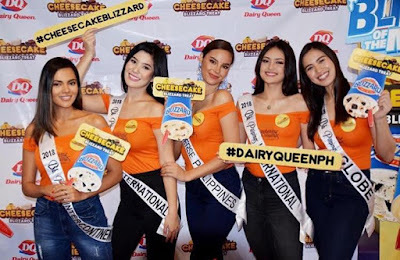 Binibining Pilipinas reigning beauty queens namely Miss Universe Philippines Catriona Gray, Binibining Pilipinas International Ahtisa Manalo, Binibining Pilipinas Supranational Jehza Huelar, Binibining Pilipinas Grand International Eva Patalinjug, Binibining Pilipinas Intercontinental Karen Galiman and Binibining Pilipinas Globe Michele Gumabao graced the said cheesecake flavor re-launch. 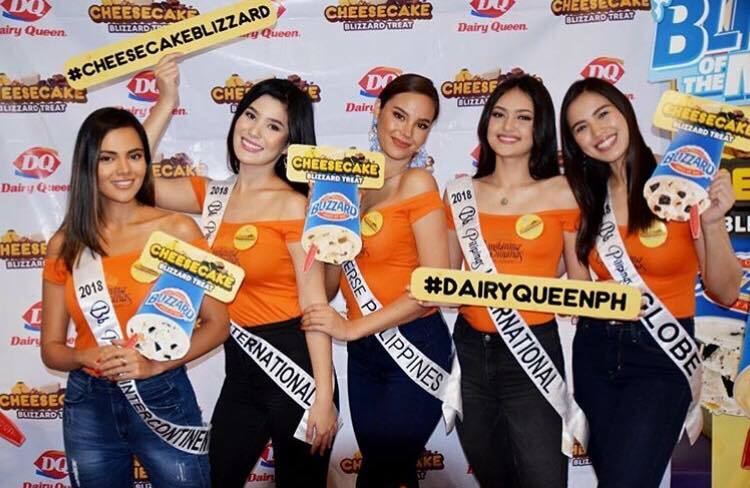 The beauty queens admitted that despite maintaining their whistle-bait figures, they would sometimes give in to their desire and indulge in their favorite Dairy Queen Blizzard flavors, savoring the richness of cheesecake in every cup. 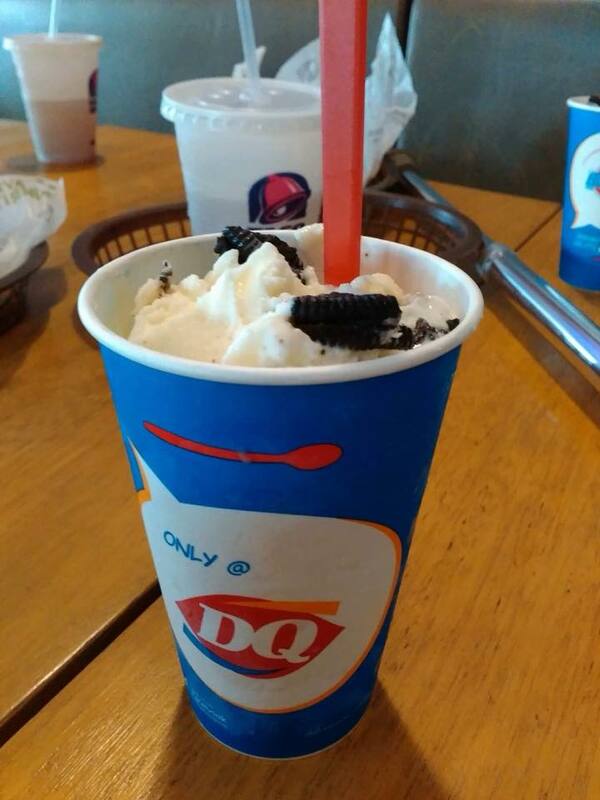 Dairy Queen's Cheesecake Blizzard is available for a limited time only. So what are you waiting for? Come and visit the nearest Dairy Queen store now!